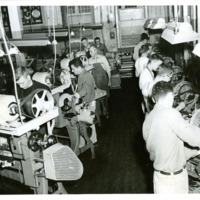 Students work in an industrial arts class. 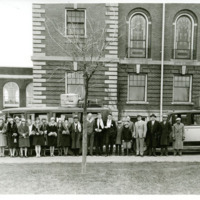 Students assemble outside central hall and in front of two vehicles as they get ready for what is believed to be a school trip. 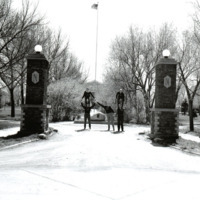 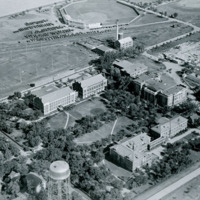 Northern Students show their school pride by positioning themselves in the formation of an N.
A 1939 aerial photo taken of campus showing the central building, the old football field, a baseball field, and construction of Seymour Hall.